World Wide Views on Climate and Energy is a global citizen consultation, providing unique information about how far citizens around the world are willing to go, in order to deal with climate change and to bring forward an energy transition. On the same day, citizens selected to reflect the demographic diversity in their countries or regions (at least 100 per country or region) will attend daylong meetings, starting at dawn in the Pacific, and continuing until dusk in the Americas. The ambition is to involve 10,000 citizens in 100 countries. All citizens will receive information about pros, cons and views on different climate and energy policies, targets and measures (both in advance and on that day) and all meetings will follow the same agenda and guidelines in order to make the results comparable. Citizens will express their views on an identical set of questions, designed to reflect policy controversies at the COP negotiations and political discussions about climate and energy in general. The results will be published in real-time via a web-tool, allowing for easy exploration and comparisons of results; one country with another, developed countries with developing, etc. Why is this initiative important ? Dealing successfully with climate change and energy transition requires public support. WWViews on Climate and Energy provides policymakers with in-depth and credible knowledge of the level of this support. It does so regarding key issues that are not easily addressed in opinion polls. It thus supplements polls such as Eurobarometer, by providing a credible snapshot of public opinions on some of the more complex issues, that policymakers need to address. Due to the credibility of the results (citizens have been well informed and been given the opportunity to discuss their views with fellow citizens) they are an important asset to politicians wishing to point out to either domestic or foreign colleagues whether or not there is public support for the position, they are taking. The results will reveal whether or not citizens wish to go further than their politicians in setting targets and implementing measures for dealing with climate change and promoting energy transition. This information could and should be used actively by politicians in the public debate, the media, and the COP21 negotiations. Although the project is not a campaign, it does help raise public awareness about challenges and opportunities. It also sets an example for how to increase the legitimacy and transparency of global governance, by offering ordinary citizens an opportunity for participating in the decision-making process. The methodology is well developed and successfully used twice at the global level (WWViews on Global Warming in 2009 leading up to the climate COP15, andWWViews on Biodiversity in 2012, leading up to the biodiversity COP12). It has also been successfully used for the French national debate on energy transition. 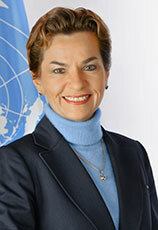 World Wide Views on Climate and Energy is co-initiated by the United Nations Framework Convention on Climate Change (UNFCCC) secretariat, the French National Commission for Public Debate (FR), the Danish Board of Technology Foundation (DK) and Missions Publiques (FR), with the support of the French Government, COP21 host. The project is coordinated by the Danish Board of Technology in collaboration with Missions Publiques and the French National Commission for Public Debate and implemented by existing and new partners in the World Wide Views Alliance. The project is funded by the French Ministry of Ecology, Sustainable Development and Energy (MEDDE), the National Commission for Public Debate (CNDP), 14 French Regions through the Association des Régions de France (Aquitaine, Auvergne, Basse-Normandie, Centre-Val-de-Loire, Franche-Comté, Guadeloupe, Haute-Normandie, Île-de-France, Martinique, Nord-Pas-de-Calais, Poitou-Charentes, Provence-Alpes-Côte-d’Azur, La Réunion, Rhône-Alpes), ENGIE (GDF Suez), the Presidency of the French National Assembly, the German Federal Environment Agency, the Ministry of Foreign Affairs and International Development (MAEDI), the European Space Agency (ESA), the Fondation de France, the EE-LV group of the French Senate, the Danish KR Foundation, the Norwegian Ministry of Climate and Environment, Grenoble-Alpes Métropole and the city of Paris. "We are very excited that World Wide Views on Climate and Energy is being organized and happy to collaborate with such an important initiative. Bringing forward the views and the voices of citizens from across the globe can only contribute to a positive new universal climate agreement in Paris in December. In supporting this unique and novel approach, we believe we are also making an important contribution to Article 6 of the Convention as it relates to education and public awareness."